Not only am I a cat lover, I have a few in the family. So needless to say, unique gifts for cat lovers are high on my list. It brings so much joy to watch someone open a unique, thoughtful gift. Something they will treasure forever, and something they wouldn't have bought for themselves. The feeling for the giver? Priceless! I hope you enjoy my list of unique cat lover gifts! I received this lovely little sculpture in the mail recently, and my daughter will be opening it the Christmas. She's a future Crazy Cat Lady, and also at an age where kids become hard to shop for! I know she will love it forever. This figurine looks exactly like the photo, and it came in a timely manner, packaged well. The girl and her cat symbolize my daughter and her bond with our Alice. It is so sweet. As for additional information, the figurine is quite a popular item on Amazon, with 236 reviews and counting. It has an average 4.9 out of 5 star review. It is also very reasonably priced, which is perfect for a smaller, yet beautiful and meaningful, gift. We gave this unique lamp to my Mother-In-Law some years ago. It still looks and works beautifully. She loved receiving this gift, and always turns it on when family visits. It adds a nice cozy, warm touch to the room. This elegant lamp measures 8 inches by 7 inches, which is bigger than it sounds. It features lovely Tiffany style glass, and is very endearing. The cat has a bobble head, a little red nose, whiskers, and bright green eyes. Very unique! Does your cat lover enjoy puzzles? This 1,000 piece puzzle is truly a work of art, and worthy of being mounted and hung on a wall. This Mosaic-like puzzle is made in the USA, from recycled materials. It is very well-reviewed, and measures 24" x 30" when completed. I think I will order it this year. The only reason I haven't yet is because we never finished last year's 1,000 piece puzzle! "I found this puzzle and was immediately drawn to it by the picture itself and by the reviews. So, I must add that this is the most fun puzzle I have ever worked. I thought it was going to be extremely difficult, but it is not that hard, although it is challenging! ... This puzzle is great. The pieces stay together very well and they fit together nicely. I absolutely love this puzzle and would highly recommend it to anyone who is a jigsaw puzzle enthusiast like me." "The repetitive nature of the border made this puzzle very challenging indeed. I am a cat lover and enjoyed this puzzle very much. I plan on assembling it for a 2nd time before framing it--the intricate border will double as a matte. It truly is a piece of art." Have you ever bought an iPod or iPhone case at your local store? They are expensive! We've discovered that there is a nice wide selection of cases right on Amazon, and they are priced very reasonably. iPod/iPhone cases make great gifts and stocking stuffers. It's fun to switch from time to time, and it's an unusual gift. 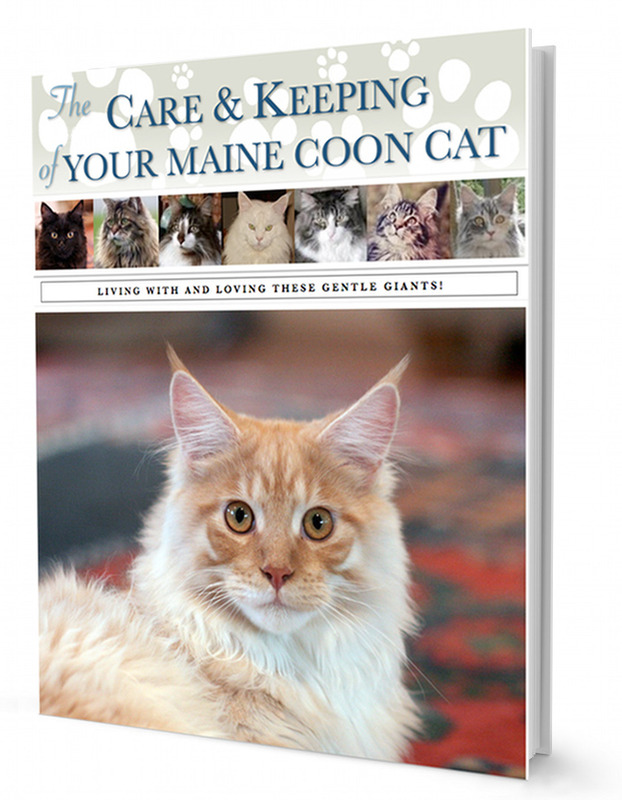 If you give a cat themed one to the cat lover in your life, they are sure to love this gift! Here is a unique spin on a popular gift - the cat calendar! We have a perpetual calendar similar to this at home (it was a housewarming gift) and it has been a central decor item since we moved in. This bright, colorful and whimsical perpetual calendar is sure to add a splash of color and personality to any home! And the best part - it will last forever! Longer than the regular 12-16 months on most calendars, for sure! 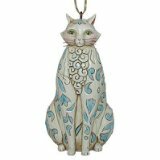 Cat Christmas Ornaments are such a classic, tried-and-true gift that we have a separate page of Top Picks. I couldn't choose just one! So it is good that you can't have too many ornaments. It's a perfect gift for someone when you don't know what they would like, or what they already have. Everyone loves a classy ornament! Do you want even more ideas? There are so many thoughtful and unique gift ideas to choose from. If you want to keep browsing items like wall plaques, coffee mugs, blankets, clocks, even wine toppers and more, visit this page of unique gifts for cat lovers on Amazon. It's chalk-full of clever gift ideas!